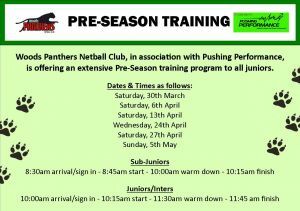 Due to Easter there is NO @pushingperformance Pre-Season training this Saturday. We've all heard of and done the footy tipping, so let's do something different and follow the Suncorp Super Netball with a tipping competition. 💚 Results published weekly on Facebook and Instagram.